PACKAGING NOT GUARANTEED TO BE IN MINT CONDITION. NOT MINT ITEMS MAY SELL OUT AT ANY TIME. ORDERS MAY NOT BE FILLED. Vote for Pedro! From Napoleon Dynamite , Napoleon’s best buddy wants to become the Student Body President. 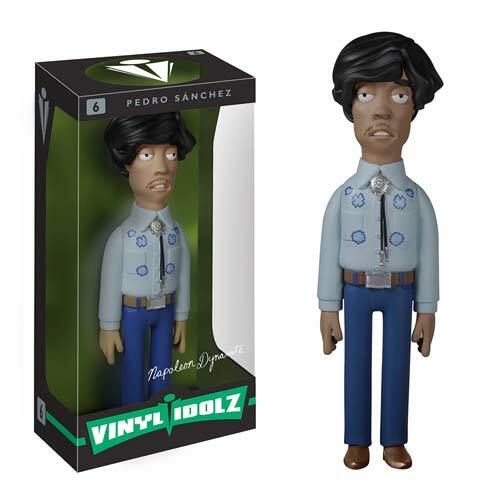 Show your support for the campaign with the Napoleon Dynamite Pedro Vinyl Idolz Figure. This stylized vinyl figure measures approximately 8-inches tall. Plus he’s like the only guy at school who has a mustache. Ages 14 and up.